WSOP play for the championship poker tournament will commence activities on July 3, 2009 at the Rio Las Vegas hotel casino for the second year. Again, it will showcase the finals at the end of November on ESPN. Want to play in the World Championship No-Limit Hold’em Main Event? It will cost you a $10,000 buy-in. The lucky nine players at the final table will be reached on July 15. To create excitement and anticipation the final table will resume play at the Rio hotel from November 7-10, 2009. The ESPN TV network will tape delay the 2009 WSOP poker winner. 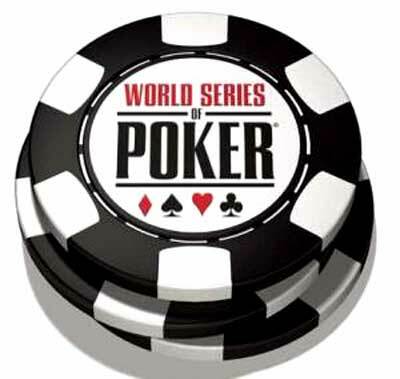 Play will begin May 27, 2009 for The World Series of Poker and include a hold’em tournament with a buy-in of $40,000 to signify the 40th anniversary of the tournament. Over 50 days a total of 57 gold bracelets will be awarded. The World Series of Poker is owned by Harrah’s Entertainment since 2004. They are hoping the delay in showing the final table will create a buzz and surpass the record setting 2008 table. Individual champions received 55 gold bracelets during the 2008 WSOP tournament. The event in 2008 raised $180.7 million from 58,720 entries from around the world in 124 countries. An event to create excitement surrounding the tournament is a small buy-in of $1,000 during opening weekend for the no-limit hold’em game for a prize purse of close to $5 million. News of the event is expected to bring in top players and draw the largest tournament outside of the Main Event. The 2009 World Series of Poker will feature 10 World Championship $10,000 buy-in events and seven. The $50,000 buy-in H.O.R.S.E. event, which mixes five different poker games, will take place June 26. 2009 WSOP 40th Anniversary adds $40,000 buy in poker game.